It was the first day of a really bad cold. You know the one where it feels like there's an elephant sat on your head, you can't stop sneezing and you go through what seems like the entirety of the worlds tissue supplies in half an hour? That one. I was watching some of my favourite booktubers whilst forcing down a mug of beechams (not a fan of the taste, but oh boy does that stuff work!!) and a couple of them mentioned The Book People because they'd been sent some books to review (sidenote: a brilliant example of how to reach out to youtubers. PR done well). It had been a long time since I'd had a good ol' peruse of the website so I thought I'd have a quick peep because they usually have some pretty good deals. I wasn't planning on buying anything though. But half an hour and a found-on-the-internet discount code later there were nine books heading my way in return for twenty five pounds. Well, Paypal pounds. And we all know Paypal money isn't real money. So they were technically free. Almost. That's what I'm telling myself. This was the book that sparked off the whole order. It's been on my radar for a little while, sitting in my to-read list on Goodreads and on my Amazon wishlist. I have looked at it in Waterstones a few times, the cut out detail on the front cover is amazing and a real example of how being a little bit different with cover design can really pay off because it was attracting a lot of attention. But I didn't really want to pay full price for it because I've had a bit of an expensive book buying few months after a pretty extensive University set book list hitting my inbox. That's a really weak excuse, but sometimes I just want a bargain. And £4.99 for a hardback is an excellent bargain. Into the basket it went. And then I obviously had to pick some more books to hit the £25 free shipping thing. Right? Right! "A boy drowns, desperate and alone in his final moments. He dies. Then he wakes, naked, bruised and thirsty, but alive. How can this be? And what is this strange, deserted place? As he struggles to understand what is happening, the boy dares to hope. Might this not be the end? Might there be more to this life, or perhaps this afterlife?" You know when you get that feeling that a book is going to be pretty special, even before you've started reading? This is one of those for me. I've heard a lot of good things from a lot of people who tend to enjoy the same books as I do. I might have to start this one first. The Book People do collections really well, and by really well I mean really cheap. Under £7 for a whole trilogy? Yes please! It's been a long time since I've read a series and I also don't read a lot of fantasy/dystopia but I'm pretty keen to broaden my reading horizons. "Todd Hewitt is the last boy in Prentisstown. But Prentisstown isn't like other towns. Everyone can hear everyone else's thoughts in a constant, overwhelming, never-ending Noise. There is no privacy. There are no secrets. Or are there? Just one month away from the birthday that will make him a man, Todd unexpectedly stumbles upon a spot of complete silence. Which is impossible. Prentisstown has been lying to him. And now he's going to have to run..."
Yes! Sounds pretty exciting to me! Fun fact, anyone else being able to hear my thoughts is one of my irrational fears. Not because I have bad thoughts, but because they're horrendously embarrassing. Sometimes these ridiculous thoughts somehow find themselves into everyday conversation, which confirms how ridiculous they are. For example, the World Cup is currently on TV ALL THE TIME (ew) and instead of trying to enjoy watching it (never going to happen) I sit and imagine how much more entertaining it would be if all the players had to wear fancy dress. Notably Big Bird from Sesame Street. I still think it would make it more entertaining. Apparently it's not going to catch on though... Anyway, back to books! This was most expensive single book I bought but still incredibly good value. This has been getting a lot of hype recently and for that reason I would usually avoid it for a little while, but there's something about it that has caught my interest. It's probably Ava's connection with Stephen Chbosky to be honest, because Perks will always have a special place in my heart forever and ever. "Sometimes the best letters go unanswered. It begins as an assignment for English class: write a letter to a dead person. Laurel chooses Kurt Cobain - he died young, and so did Laurel's sister May - so maybe he'll understand what Laurel is going through. Soon Laurel is writing letters to lots of dead people - Janis Joplin, Heath Ledger, River Phoenix, Amelia Earhart, Amy Winehouse... It's like she can't stop. She writes about her new high school, her new friends, her first love - and her shattered life. But the ghosts of Laurel's past can't be contained between the lines of a page forever. She must face up to them - before they consume her." I think it has the potential to be a real love/hate kind of book. I'm not convinced that the blurb on the back is particularly attention grabbing, but I'm hoping that I'll like it. Young Adult is an interesting genre, there's so much potential within it and there are so many good YA books. But I also think it's quite easy to get wrong and I'm keeping my fingers tightly crossed this one isn't disappointing. "Alex Woods knows that he hasn't had the most conventional start in life. He knows that growing up with a clairvoyant single mother won't endear him to the local bullies. He also knows that even the most improbable events can happen - he's got the scars to prove it. What he doesn't know yet is that when he meets ill-tempered, reclusive widower Mr Peterson, he'll make an unlikely friend. Someone who tells him that you only get one shot at life. That you have to make the best possible choices. So when, aged seventeen, Alex is stopped at Dover customs with 113 grams of marijuana, an urn full of ashes on the passenger seat, and an entire nation in uproar, he's fairly sure he's done the right thing." Goodness knows I'm a sucker for a good coming of age novel, especially one that includes an unlikely friendship and an unexpected hero. Promising to potentially strike me as one of the funniest and most heartbreaking novels I've ever read, it's safe to say I'm pretty excited about this one. Please be good! 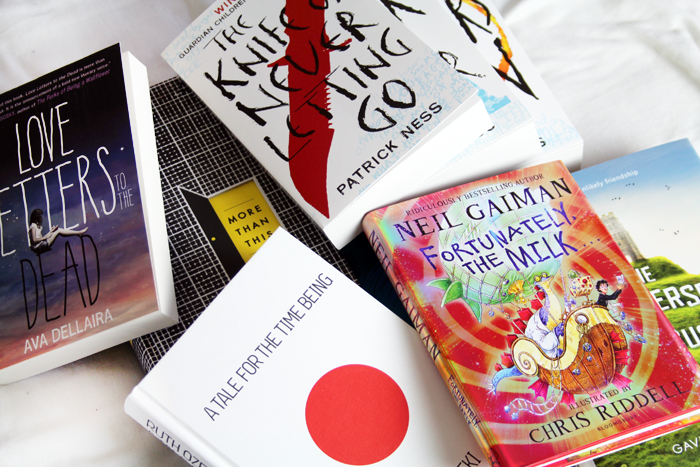 What's a big book order without a little bit of Gaiman? Not a very successful one is the answer to that. Neil Gaiman gets a lot of praise from a lot of people. I have Stardust on my shelf, which I haven't read yet (note to self: no more book buying until you've read everything you already have!) and when I saw this I had to have it. "It begins and ends with milk. Without milk, there can be no breakfast. Without breakfast, the day cannot start. The delicious Toastios are dry and the children are hungry. But today, the fridge is milkless. From the moment Dad pops out to buy some and gets abducted by aliens, swashbuckled by pirates, nearly sacrificed to a volcano god and rescued by a time-travelling dinosaur in a hot-air balloon, it's clear that breakfast is going to be delayed by some quite unusual events. Fortunately, the milk will arrive at some point in the future. Or the past. Won't it?" The shiny cover is perfect, the blurb is hilarious and intriguing at the same time and the illustrations and typography throughout look incredibly well done. Maybe I'll read this one first... I know I'm going to love it already! This was shortlisted for the Man Booker Prize in 2013 when The Luminaries by Eleanor Catton won. The Luminaries is sitting on my shelf, waiting for a week when I can devote some serious time to reading it because it's pretty long and I have a feeling it's one that will demand a fair amount of concentration. A Tale for the Time Being looks like it'll be a little easier to get through and I'm interested to see what makes a Man Booker Prize winner different from others that were shortlisted, if that makes sense? 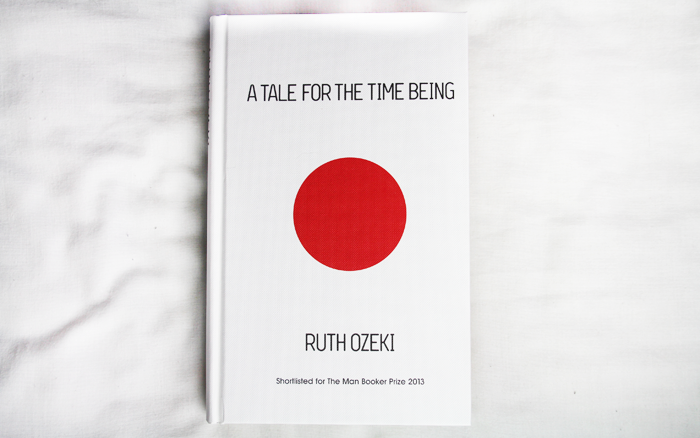 "Within the pages of this book lies the diary of a young girl called Nao. Riding the waves of a tsunami, it is making its way across the ocean. It will change the life of the person who finds it. It might just change yours, too." I hadn't seen this particular edition before now, but I think it's beautiful. And it's a hardback without a dust jacket, which I always adore! A lot of reviews have described this as a triumph, being moving and profound. I think I'll really love this, and it's one I'm looking forward to a lot. When I was checking out there was the option to choose a free book from a list of around 7 or so. I think they were all children's books (I have a terrible memory) and because I kind of collect children's books after my children's lit Uni module I was all over that list! 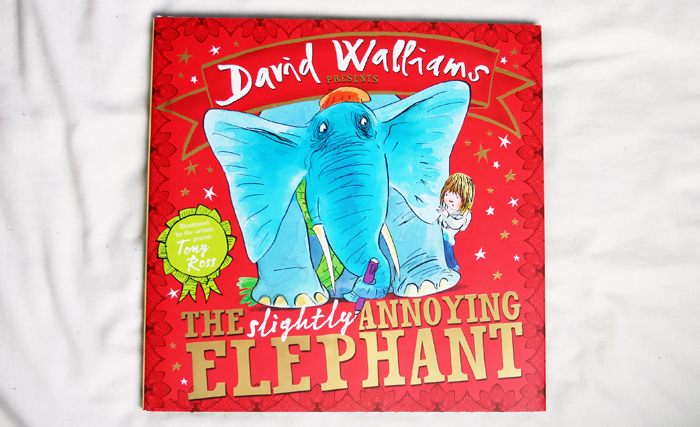 I settled on this one because David Walliams has received all kinds of praise for his books and I was curious. "What's big, blue, bossy, and turns up uninvited? A slightly annoying elephant, of course!" I flipped through this as soon as I opened the box and was giggling away instantly. This is a really fun addition to my children's book collection and I can imagine it's a lot of fun to read with a small person! So those were my purchases. Needless to say I'm excited about them all and I now just want to lock myself away in a room and read them all right now. I think it's going to be nice to read some of these in between some of the twentieth century classic novels I'm reading for University. Don't get me wrong, I'm loving those (I think I've just discovered a new favourite author in Katherine Mansfield), but I also like to have a variety of things to choose from. Sometimes a bit of contemporary is necessary after a tough read! Which do you think I should read first? *This post contains affiliate links - if you click through and purchase something from The Book People I will receive a tiny percentage. 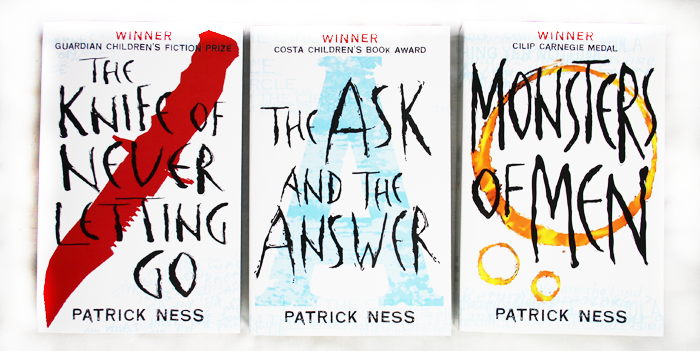 I've not read any of these but I'm intrigued by the Patrick Ness trilogy, will have to have a loko for that. 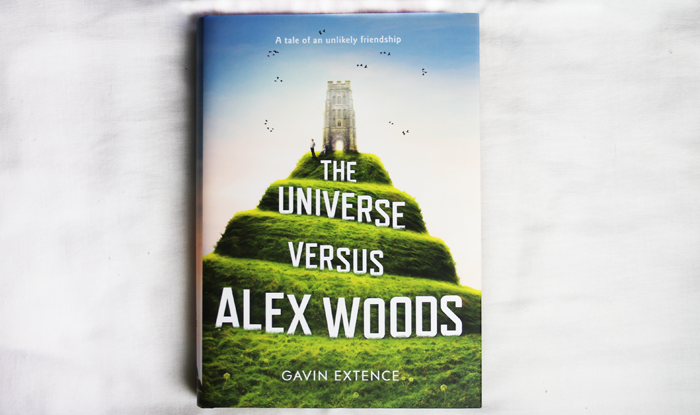 The Universe vs Alex Woods is an amazing book, I cried twice.It's up there as one of my most favourite reads,I hope you enjoy it as much. Such a lovely post Jennie! 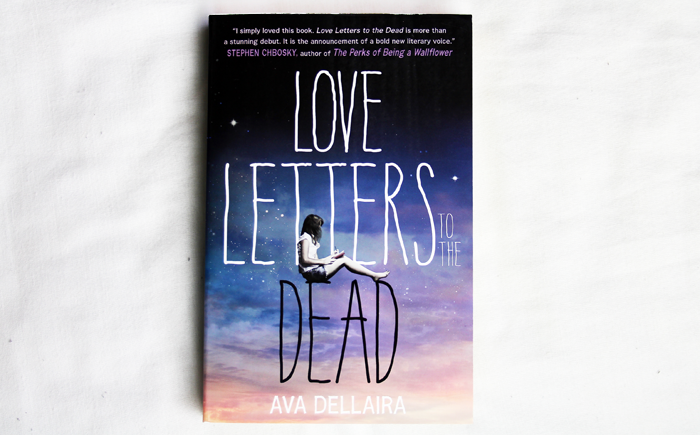 I want to read Love Letters to the Dead - it sounds really interesting. Thanks for the book review c; That trilogy is truly a bargain! I love hearing book recommendations, thank you ! So many books! I haven't actually gone on a good book binge in a while. I really ought to get back into reading properly this summer. I'm also very envious that you got to do a children's lit module at uni. That would have been right up my street but nowhere to be seen at Keele! There is something about buying books... I just love it! And especially when you can get them for a nice price. I am wondering if that site that you're talking about ships internationally, so I am going to find that out now! My wallet hopes that they don't. Lovely books, and you bought them for such an amazing price :). 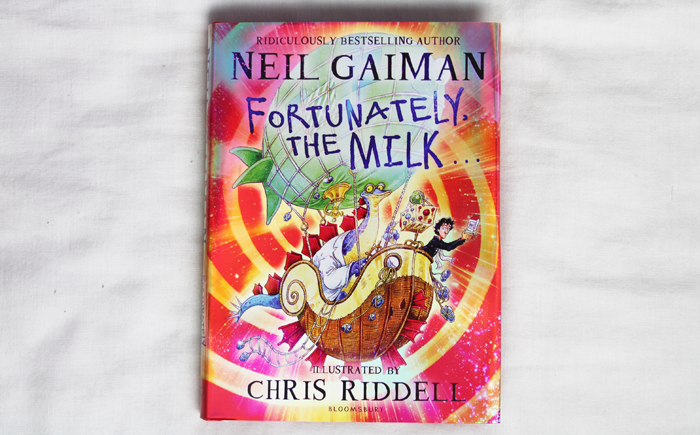 Okay, I'm buying that Neil Gaiman book - it's right up my street! I hate when I buy books in bulk and have no idea which one to start with. And I've actually not read any of these, so thanks for sharing them, found myself a few new reads! I've read More than This and I really want to read the Chaos Walking Trilogy! Also, I'm very intrigued by the 'book tubers' you mentioned and I was wondering if you could recommend some? Love, love, love your book posts! Well this is a timely post! Last week I tore through The Knife of Never Letting Go, and now I'm on the second book in the series. But I didn't know much about More Than This...and now I want it! Or, y'know, need it. Fortunately, The Milk has been on my list since it was published so I'm interested to see how you get on (it has amazing reviews). I think you should read 'A Tale For The Time Being' first, I have been wanting to read it for a while and would love to know your thoughts on it. I'm checking out The Book People now, I'm obsessed with a book bargain! some of these looks really good! i'll have to include it into my goodreads. been meaning to get into gaiman for a while now. Alex Woods is one of the best books I read last year. It'll make you cry, but it's so worth it. I've been dying to get to More Than This for the longest time as Ness is fast becoming one of my favourite authors. He never seems to let me down. Looks like you have some great reads coming up so enjoy! That trilogy sounds really interesting! I might load my kindle up with them for my holiday next week. I love those kinds of books. these books all look so interesting! love your blog btw! I haven't read any of these but I've heard great things about Love Letters to the Dead. Can't wait to hear what you think of it! Out of these, I've only read A Tale for the Time Being and absolutely loved it. I hope you will too! Some of these books sound really intriguing, would love to give them a go! I think you'll REALLY like the Chaos Walking trilogy! I really enjoyed More Than This, all though it was bizarre and rather unsettling a lot of the time. I never really had any idea what was going on. Chaos Walking sounds interesting, those are going on my to-read list! I reckon £25 spent on books is £25 well spent! I loved 'A Tale for the Time Being' - such lovely characters. Look forward to reading your thoughts on all of these! Woah ok so first of all I had no idea booktubers were a thing. I'm assuming they don't make videos of them reading but talking about books and stuff? Maybe I'll investigate! Secondly, oh my gosh how cheap for all these books! Waterstones is so expensive but that's where I tend to go for new books (although to be honest the majority of books I read are old ones I get for free) so I'm definitely hitting this site up. I love Fortunately, The Milk - my mum got it for me for Christmas after it was on my xmas blog wish list post. He's so witty. Plus the illustrations reminded me of Philip Ridley as Chris Riddel did a lot of his books and they were my all time favourites as a child! I've been after More Than This for a while now but can never find it in Waterstones or my local library, think I'll have to go online! His trilogy, the Gaiman book and A Tale For The Time Being have all been added to my to read list, they sound wonderful. What a fab selection of books; you always find the best treasures! ;) Love Letters to the Dead has really captivated me and I can't wait to hunt it down. I have purchased the first book you have mentioned myself and look forward to finishing it soon, I'm still reading A Clash of Kings at the moment. 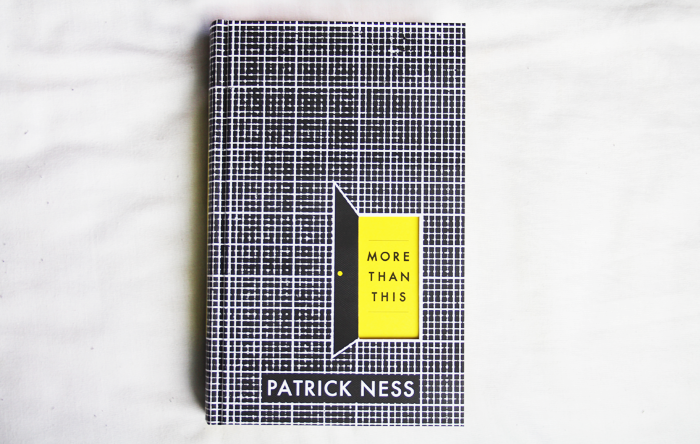 The trilogy by Patrick Ness is supposed to be really good, I want to try that myself too.